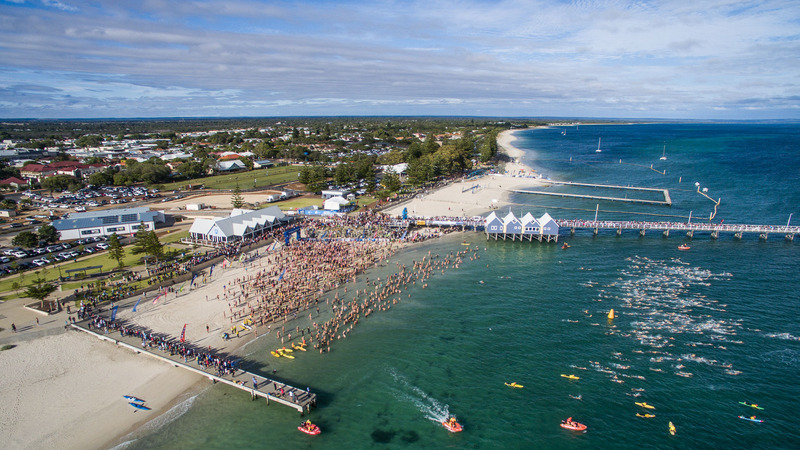 Registrations for The SunSmart Busselton Jetty Swim 2019 and Kids Swim are now closed. The SunSmart Busselton Jetty Swim will take place on the morning of Sunday 10th February 2019. As always, it will be a weekend of family fun on the Busselton foreshore as we celebrate the 24th birthday of this iconic event. Solo competitors and relay teams of two and four persons will swim the 3.6 km course out and around Busselton’s most famous landmark in beautiful Geographe Bay. The Kids Swim is 222 metres around the Swimming Jetty (minimum age of 8 years on swim day, maximum age of 12 years and minimum Stage 8 swim certification). Solo entries are capped at 2000 solo swimmers for the Jetty Swim, 300 for the One Mile Swim to Shore and 200 for the Kids Swim. This online entry form is for the WAITLIST. To be included on the wait-list, interested swimmers will be required to complete and pay for entry in full. As swimmers withdraw from the event, wait-listed swimmers will be allocated entries based on their position on the waitlist (highest to lowest by date order). Wait-listed swimmers who are not successful in obtaining an entry will receive a full refund after entries close. IMPORTANT NOTE: You may withdraw from the waitlist prior to the refund cut-off date and receive a full refund, but once you have been moved from the waitlist into your chosen event there will be a $10 admin fee for any withdrawals.